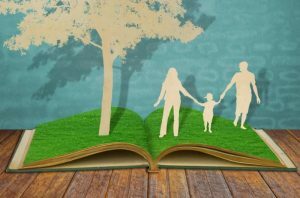 Collaborative Family Law: Are You Both on the Same Page? In the traditional setting of court, the parties are adversarial. This means they are on opposing sides of an issue, each competing for a ruling from the judge. Court tends to be a win/lose scenario. Instead of being adversarial and working against each other, the objective for both parties in Collaborative Family Law is to find a win/win solution to their dilemmas. The parties collaborate in an effort to create the best settlement they can. All four people, both parties and both attorneys, brainstorm in a series of what are called four-way meetings. Because the parties aren’t adversarial, the attorneys and parties discuss things among themselves in a civil manner during the four-way meetings. There is no cross-examination. Instead of the courtroom, they usually meet in an office of one of the attorneys. How Does Collaborative Family Law Work? Collaborative Family Law (CFL) is an alternative dispute resolution authorized by the NC General Statutes. It is used only by the agreement of both parties and can be used for almost any type of family law dispute, including child custody and support, alimony, and equitable distribution of marital assets and debts. The attorneys and their clients sign a CFL pledge. In traditional family law cases, the spouse with more money to spend sometimes drags out the process forcing the other spouse to settle because they can’t afford to go to court. The CFL pledge includes a commitment not to “starve out” the other party. If either party decides to litigate (i.e., go to court), the CFL process ends and both parties have to hire new attorneys. This a built in deterrent for starving out the other party. However, the parties can include in their pledge an agreement to use mediation or arbitration if they can’t reach an agreement. By doing that, their attorneys can represent them throughout all three processes, CFL, mediation and arbitration, if necessary, never going to court. Am I Protected by My CFL Attorney? Yes. Attorneys facilitate the agreement meaning the parties take an active role in the case. If someone suggests a course of action that is not feasible or fair, the attorney advises him or her against it. Both attorneys meet with both clients in four-way meetings. But each attorney also meets with his or her client privately at his or her office. In fact, CFL relies on an attorney’s good screening process in the first place. Common issues to navigate in all types of family law cases include tax consequences of settlements, the division of retirement accounts, cash-flow and support, and how to create an effective visitation schedule. Is CFL Appropriate For Your Case? A North Carolina attorney is required to consider whether CFL is appropriate for a client before advising a client to participate in CFL. If there is domestic violence, an emergency that calls for a court order, a client isn’t prepared to be (or doesn’t want to be) self-directed in what he or she wants to do, or there is a serious power imbalance, the case is not appropriate for CFL. Using an attorney experienced in both CFL and trial work (i.e., litigation) means the attorney can meaningfully advise the client of the benefits and drawbacks of each process. After all, CFL is an alternative to court. For the cases that are appropriate, trust is an important part of the CFL process. The signed CFL pledge requires both parties to be honest, negotiate in good faith, and treat each other with respect during the process. CFL doesn’t dwell on fault or looking at what the parties did in the past. It looks to the future and what the parties will need to do in the future. For example, the parties will set the stage for how they will treat each other as co-parents. However, there are times when an attorney might advise a client to preserve his or her right to litigate based on serious marital fault instead of using CFL. This is another example of the attorney’s trial experience in advising the client to use CFL. What is the Result of a Successful CFL Case? At the end of the CFL process, successful parties usually sign a separation agreement that settles all pending matters. Although CFL is an out-of-court settlement process, there are a few instances that require court orders but those are uncontested in nature. One example of this is the divorce decree, which requires a lawsuit to be filed although neither is required to be in court. Another example is court orders that are required for dividing pensions, which is usually requires only the signatures of the parties. How Do CFL Costs Compare? Each attorney sets his or her own fee schedule, based on his or her own experience and expertise. While there are certain Collaborative Family Law (CFL) cases that will cost less than litigation, that is not necessarily the case. In the CFL process, the parties must agree to share information, such as information about assets and debts. Voluntary sharing of this type of information avoids the cost of what is called discovery in litigation, an expensive and time-consuming endeavor. Another feature of cost saving in the CFL process is sharing the cost of experts, such as appraisers and CPAs. Because the parties are all trying to find solutions instead of being adversaries, the parties avoid the cost of trial motions, depositions, and a host of other trial procedures that are costly. The parties in a CFL case must recognize each party must have access to funds to continue through the process.